Why is CPR for Babysitters Important? Lots of parents around the country face an ongoing problem: finding a babysitter they trust to take care of their child or children while they’re away. According to a poll by the American Red Cross, 55% of parents indicated they did not go out as they couldn’t find a babysitter they trusted to look after their children. A further poll indicated that 30% of parents rejected a babysitter due to safety concerns. So what makes a babysitter trustworthy? CPR certification and first aid certification, of course! According to the American Red Cross poll, a majority of parents believed that if babysitters possessed the skills on the list below, they should be earning more money. Furthermore, 77% of parents with children younger than 17 believed that those teenagers who are babysitting should be trained in some CPR and first aid training before they commence work. 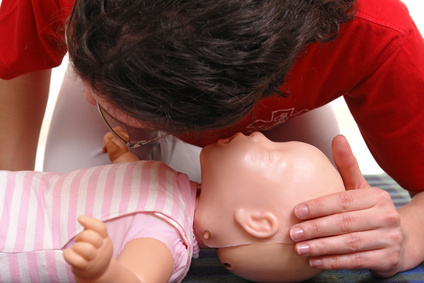 Why is CPR training important for babysitters? CPR and first aid training can deliver a range of extra benefits for babysitters for a variety of reasons. Below we discuss some of the most important. Preparation is key for babysitters. If you are qualified to understand the signs of an emergency, you will be able to minimize risks to a child. Thankfully, CPR training provides with the skills to allow you to identify safety risks in all environments, at any given time. This means you will be able to dedicate the correct resources and time to prevent potential emergencies and eliminate dangers. CPR training also means you will know how to respond to a “worst-case” scenario, which means you will know exactly what to do when an emergency calls and can provide the child with the exact support they need. As much as we would love to guarantee that each babysitting appointment will be emergency and stress-free, there’s just no guarantee possible. So it’s better to be prepared. For example, if a child suffers from an allergic reaction, suffers from an episode under your care, it could escalate dangerously if you are not equipped with the necessary skills to handle the reaction. CPR training, however, equips you with the knowledge and skills to recognize the symptoms in an emergency and the appropriate know-how to deal with it. Whilst no two emergencies will be the same, proper CRP training does guarantee that you will have a better, more thorough understanding of the victims needs in a life-threatening situation. CPR and first aid training will provide you with all the necessary lifesaving skills and know-how you need to help assist a child in an emergency situation. 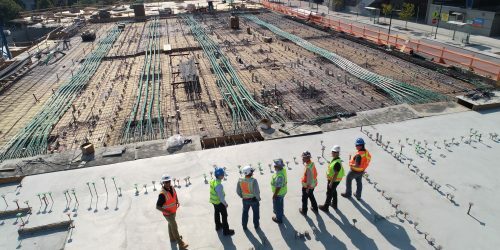 However, it’s important to note that even with this training at your disposal, there may be situations that arise that are critical and will require extra emergency help in the form of 911. If you are wondering how will you know when it’s time to call 911, don’t worry. Your CPR training will teach you the basics to emergency response as well as equip you with the knowledge to ensure you will know when it’s time to seek emergency assistance before an emergency whilst babysitting escalates beyond your control. Also, after you’ve finished your CPR training, you will know how to assist a child until 911 services reach you. What this means, is you can help administer critical assistance and boost the chance of a child surviving a life-threatening emergency. It’s vital that babysitters of all ages understand basic first aid and basic first aid training is available that will teach you how to administer immediate first aid to a child. A basic first aid class will cover a variety of different topics that every babysitter should know. Typically a basic first aid class will teach you about the basics of first aid and respond to any questions or concerns you may have. This means you will be able to learn lots, feel reassured that you know what you are doing and as a result, you will be equipped to administer basic first aid with confidence should the situation arise whilst babysitting. A child choking emergency can occur almost instantly, and if you are unprepared, it could turn into a fatal situation. However, if you enroll in CPR training, then you can learn how to deliver infant, child and adult CPR correctly. Becoming CPR certified is an essential qualification for a babysitter, and a CPR training workshop will cover a variety of different topics that every babysitter should know. It’s said that in the USA, choking is the 4th leading causing of unintentional death. Thanks to training and knowledge provided by a CPR class, you will be able to understand how to support a choking victim, and maybe even save their lives. Now that you know the benefits that CPR training can bring to your role as a babysitter, the next step is enrolling yourself in a CPR training course. 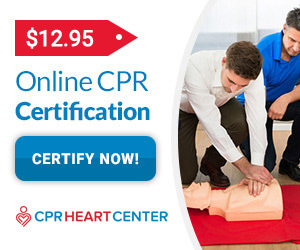 At the CPR Heart Center, we offer life-saving certification training for individuals and organizations. 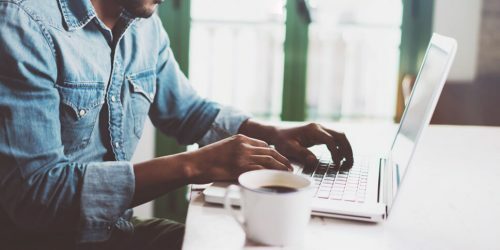 Our training is AHA compliant, nationally accepted, and can be accessed digitally through our study guides and website. Our CPR training is FREE initially. You only pay after you have passed your test successful. You can achieve your qualification in whatever time frame you need. You can choose a specific course online to suit your needs. Enroll today to show parents that you’re a “trusted babysitter” and reap the benefits of a superior learning experience. If you require any further information, please don’t hesitate to get in touch with us today.